38mm Case with Sport Strap in Blue/Green/Blue. 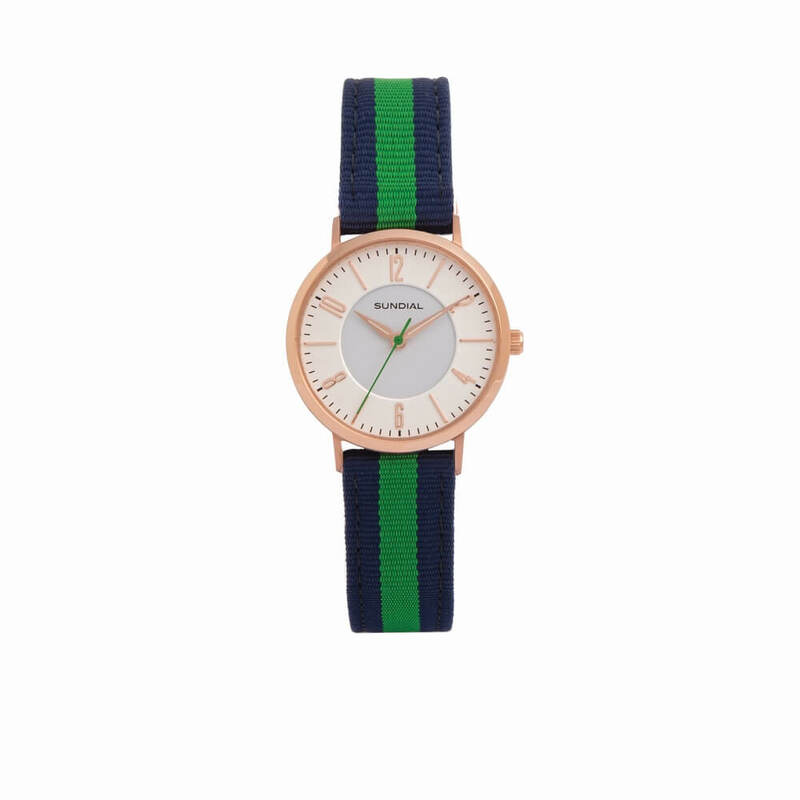 Rose Gold Case and Emerald Green Seconds Hand. Nylon strap with comfort-fit leather lining and buckle.